I recently picked up a book about how to tell time to use with two ESL students I start working with on Monday. There are pages and pages of clocks — some with hands and some with digital numbers. Some ask the student to identify the correct time based on the picture and others ask the student to write the correct time in the space provided next to the picture. And still other pages present scenarios like “Sam has a doctor’s appointment at three-thirty” and ask the student to answer questions about where Sam is going and at one time. 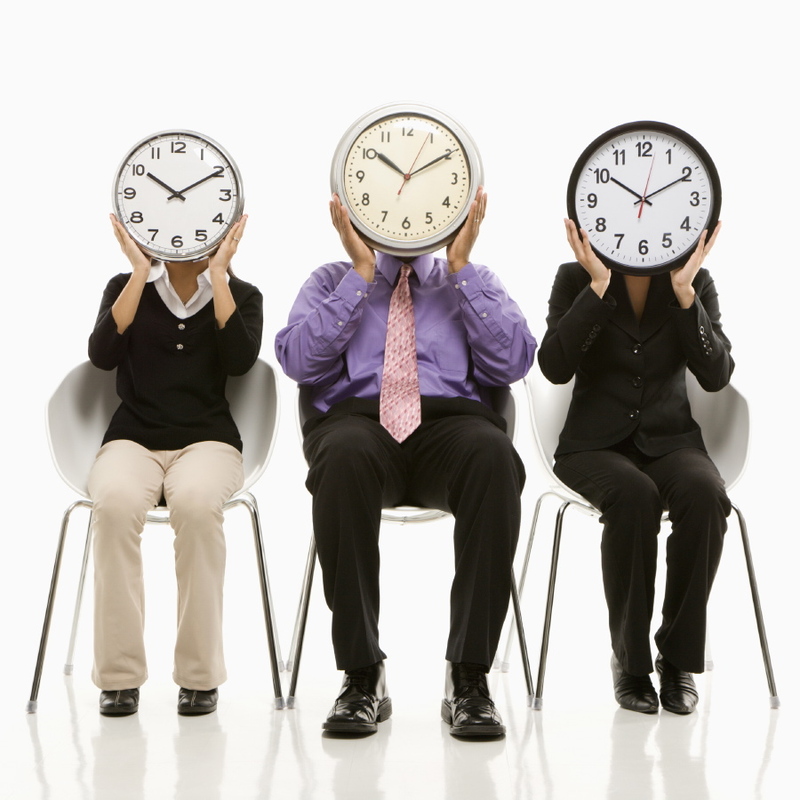 But, the concept of time – of being on time – of arriving early or staying late – is different around the world. It’s even different from North to South or East to West. In the Northeast, we seem to be racing to beat the clock. Take a look at the streets of New York, Boston or Washington, DC or the highways around those same cities – everyone is moving but nothing is moving fast enough. Horns and sirens blare. Street lights and traffic signs flash. Train whistles blow and conductors shout garbled messages through the intercoms. Life is constantly in motion. People are continually trying to make the most of their time – running out on lunch hours or multi-tasking on conference calls. Texting and smartphones ensure that we’re always connected. With all that movement, you’d think we’re all exhausted all of the time. Maybe we are. More often than not we’re trying to squeeze every minute out of every day and there is still not enough time. But, head to the Carolinas or further South and the pace is much more relaxed. Or if you’d prefer, go out to the Northwest where life (apparently) is much calmer. Or even yet, visit the Midwest and see how their patience differs from anywhere in the world. Europeans seem not to worry about time. Lunch could be three hours and in some of the countries an afternoon nap is a must. And those folks know how to really take a vacation – unplugged for weeks at a time. How can there be so many different perspectives on time? Being born and raised in the Northeast, I just can’t fathom how these other people can literally stop and smell the roses. I sat down to write this entry and told myself that I had 40 minutes to do it. Writer’s block took over immediately. As I tapped the keys in a mindless effort to find some inspiration, my eyes wondered to the to-do list next to me. Yes, I am a list maker. I don’t write everything down – just the large vital things that must really be finished in order for me to feel accomplished. I have my own system for list management – checkmarks indicate in progress while Xs indicate that task is done. There are very few of either on that list that is staring at me. Can a piece of paper with scribble taunt a person? This one is trying very hard. I feel like it is staring deep into me, trying to understand what happens when I do not easily put Xs straight down the page. Do I lose time? But how, where, and why? Do I procrastinate? I don’t think so. Do I lapse into a coma and only think that I am awake and trying to do things? I remember being a child and desperately wanting to be older so that I had time to do things that I wanted to do. I would not have to do homework and I could stay up to whatever time I wanted. However, something happened. I’m all grown up, but where did the time go?